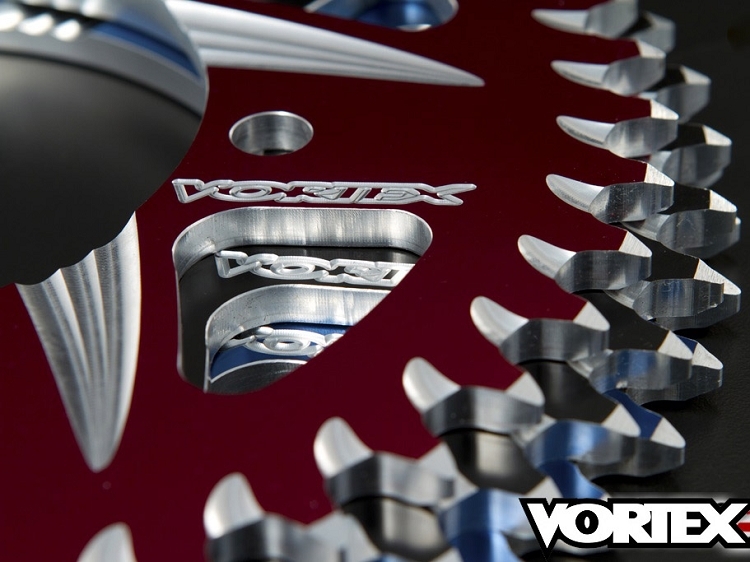 Vortex CAT5 rear motorcycle sprockets are made from high quality aluminum and CNC machined to the tighted tolerances. They have a unique tooth design and color anodizing, which includes the sweeps, mud grooves and teeth for a flash of color. 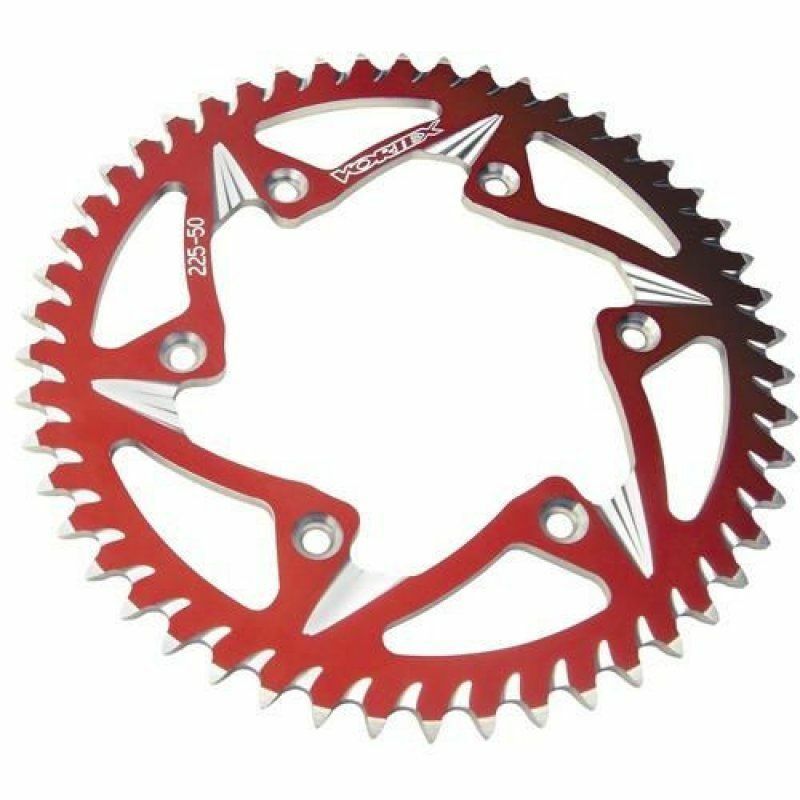 Get one of the best custom 530 rear sprockets on the market for your ride.